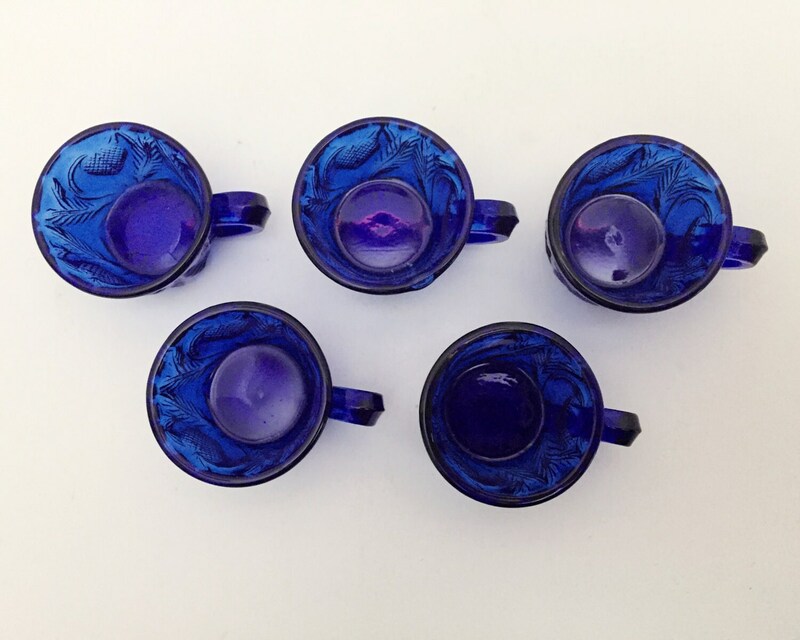 Tiny little punch cups, a child's set. 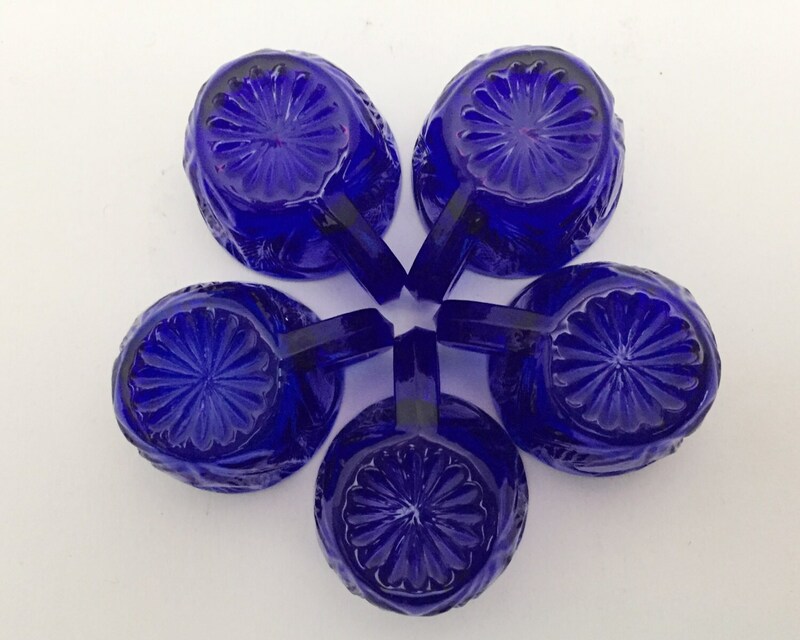 This is Mosser Glass's Inverted Strawberry pattern in cobalt blue, and they are super cute and very sweet. 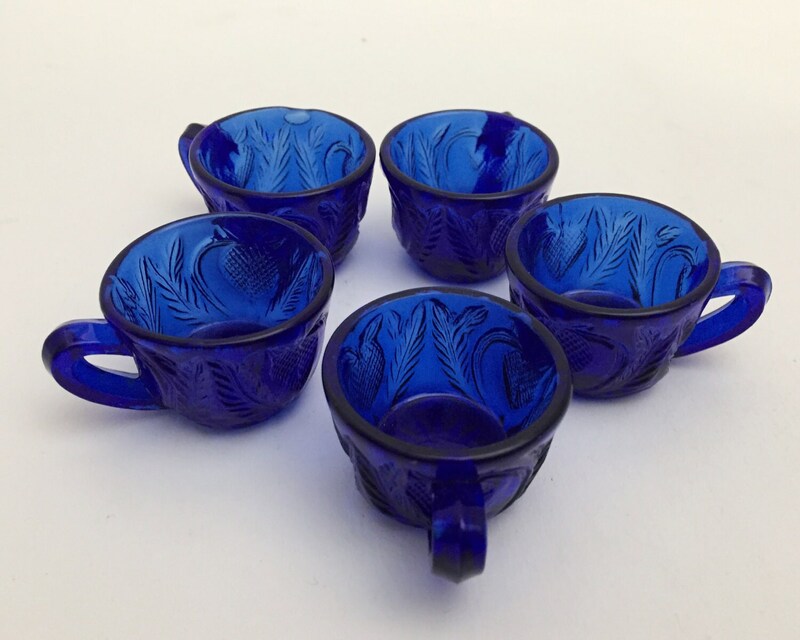 This mini punch cup set, for tiny little fingers, would originally have had a punch bowl and one more cup. 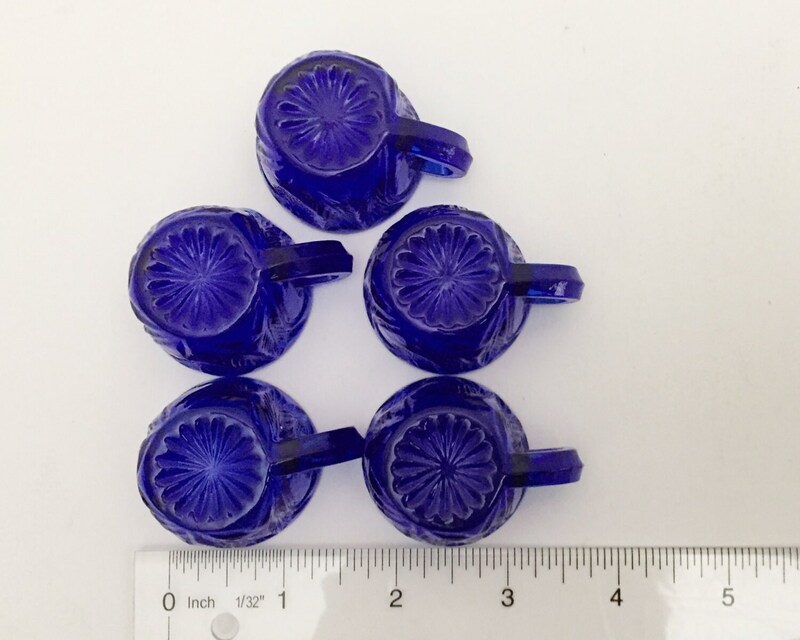 The sets go for for about $65. I have no idea when this was made, as it was often reproduced. CONDITION: Excellent. No chips, nicks, or cracks, or scuffs. There is a flaw on one of the cups that is quite noticeable: a bubble near the rim. You can see it in one of the photos. 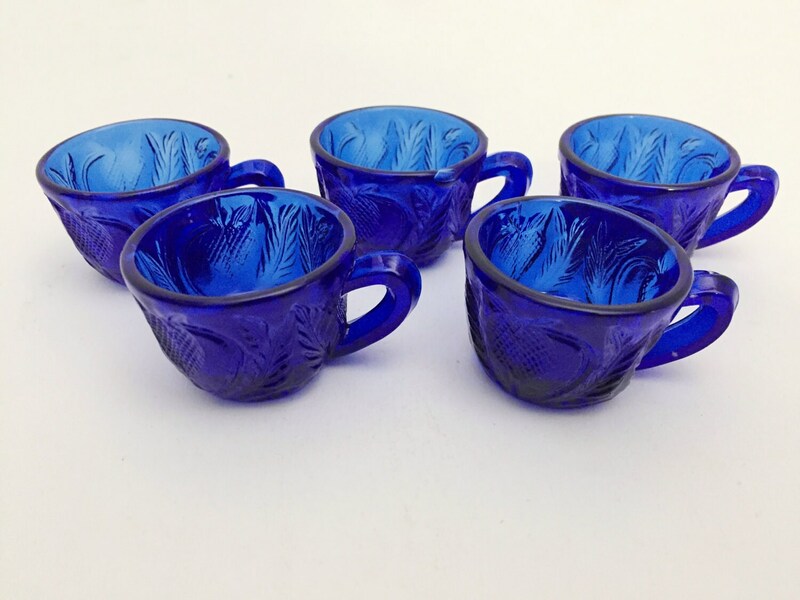 SIZE: Each children's punch cup is 1 inch tall and 2 inches wide including handle.